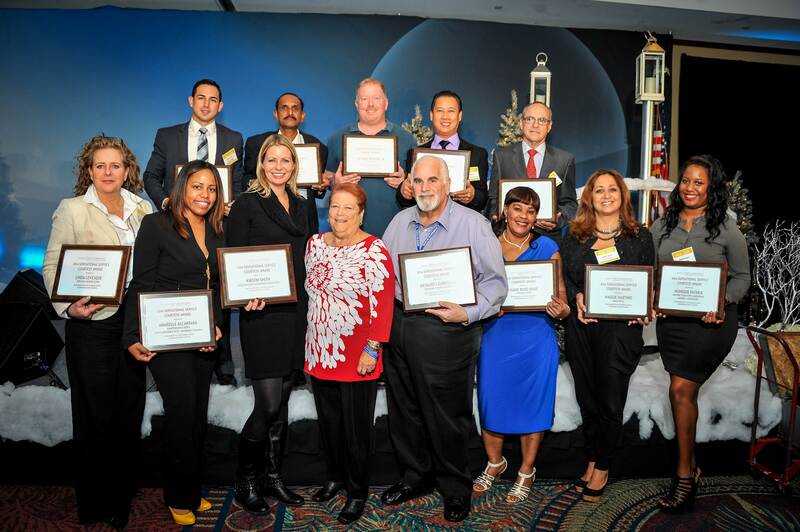 GREATER FORT LAUDERDALE, Fla. (Dec. 12, 2014) - The project manager that searched through the rubble, the taxi cab driver that went the extra mile for a passenger, the bartender that found a diamond in the rough, the hotel shuttle operator that got to the boat in time, the guest services manager that brought a family together, the banquet server with a caring heart, the guest services associate who saved the big day - are among the 12 SUNsational Service Courtesy Award winners for 2014. "For more than a quarter-century we have honored the stars who shine brightest in the hospitality industry for their dedication and commitment to ensure the more than 14 million annual visitors to Broward County have a memorable experience," said Nicki E. Grossman, president of the Greater Fort Lauderdale Convention& Visitors Bureau. "All 157 nominees are tourism heroes that embody the highest standard of quality and are essential to the destination&apos;s success." Anabelle leads the charge for guest service at the Hampton Inn & Suites. Her contagious smile and upbeat attitude warmly welcome guests as they come and go past the front desk. Anabelle goes above and beyond for service and competently handles any situation that passes in front of her. One shining example of Anabelle&apos;s strong commitment to guest service happened recently when a guest arrived on Friday evening for a Sunday wedding. The guest happened to be mobility impaired in a wheelchair and without any convenient means of transportation. Shortly after checking in, the guest noticed that there was a large stain on the shirt he planned on wearing to the wedding. He brought the shirt to the front desk and asked for assistance. After trying unsuccessfully to find a dry cleaner that could clean the shirt in time for the wedding, Anabelle made a special trip to the store and bought the guest a brand new shirt, ironed it, and then surprised him with it. Needless to say, the guest was overwhelming thankful for her kindness. Anabelle&apos;s professionalism truly sets the standard for all to follow and her numerous positive guest services comments are a key factor in the hotel ranking #1 on TripAdvisor in its market. In early 2014 the convention center hosted a Tony Robbins, "Unleash the Power Within" event for 6,000 attendees. During the event Andres Castano happened upon a gentleman who seemed agitated and somewhat stressed out so he stopped and asked if he could be of assistance. The gentleman told Andres that he had been attempting to hail a cab so he could get back to his hotel to check out, and get to the airport to catch his scheduled flight. Andres decided to step up and take an extra leap, asking if he could give the guest a ride in order to get him to where he needed in time. The gentleman accepted with enthusiasm, greatly relieved that this facility employee was willing to drop everything in order to help him out of a jam. As they proceeded to the hotel, the gentleman told Andres that he was in Greater Fort Lauderdale at the Robbins event to meet with Mr. Robbins, and that he was the CEO of a large financial firm out of Chicago and NYC. He also wanted to repay Andres for his professionalism and kindness, but being the salesman that he is, Andres merely asked if his firm ever hosted meetings around the country. The gentleman told Andres that most of his company&apos;s meetings were held in NYC, but after visiting the destination and receiving such great service at the Broward County Convention Center he told Andres that he would put him in touch with his company meeting professional. Andres is now still in hot pursuit of a future piece of business for the destination as a result. The Airport Hilton, a landmark for nearly three decades in Fort Lauderdale, was slated to be torn down earlier this year. It seemed the dress of a guest that she had worn to her son&apos;s wedding was left hanging in the closet among other wedding attire and expensive dresses worn during the wedding weekend. The guest had departed the Hilton early on April 1; the last day the 29-year-old hotel was open for business before being demolished to accommodate the flight path for a new runway at Fort Lauderdale-Hollywood International Airport. It was only hours before the building was to come down that the guest, who had already returned home to Minnesota, realized she had left with the dress hanging in the closet. It appeared that the dress was destined to be among the impending rubble Enter Richard Lauricello to save the day and the dress. After hanging up the phone with the guest and hearing her desperate pleases, Richard raced into the hotel and to the room to find the dress. Within minutes he found the dress and was on the phone to the guest informing her that he would place it in the mail immediately for her. The guest was elated to have this sentimental item returned safe and sound. It was a long journey from the Philippines to South Florida, but in 2012 Joejie Laxamana landed at the Pool Bar at Sonesta Fort Lauderdale (formerly B Ocean) as a bartender. Joejie remembers that he was looking for something special, a place where he could be himself. After seven years, he decided to leave the cruise ship life and the traveling around the world for the sandy beaches of Fort Lauderdale. To his surprise, three years later, Joejie is known at Sonesta as the guest&apos;s favorite bartender. No one else receives as many comments, emails or letters as Joejie does. The guests have named Joejie, Mr. Unforgettable. On a busy sunny afternoon, a group of women on a girlfriend&apos;s getaway were enjoying their cocktails at the pool deck. They had big plans for the evening when suddenly, the happy group became agitated and frantically walked all over the pool deck, even jumping in the water, as if they were looking for something very important. Joejie approached the women and asked if he could be of assistance. At this point the guest was crying and said that she lost her wedding ring, a five carat diamond ring that she designed herself per her husband&apos;s request. They searched the entire pool deck to no avail. Towards the end of the day Joejie was cleaning-up the bar when he found the diamonds lost in a tray on the bar. He raced to bring the ring to the guest who was overjoyed. Linda has been with the Diplomat for 12 years. She is a valuable part of their team and sets herself apart everyday by going above and beyond. On any given day, Linda can be found at the hotel picking and cutting leaves and flowers from the trees on property to use for decorating trays and buffets, not because it is her job, but because she feels it would look nice. She has been asked for by name by more than 50 clients just this year, whether they remember her from previous years or from their wedding tastings. She creates memories for each of her clients and leads by example for fellow ambassadors. Recently a guest attending a wedding was not feeling well as he was going through cancer treatments. Linda made him tea, served him some plain crackers and escorted him to the restroom, no questions and taking herself away from her other responsibilities in order to positively impact this guest&apos;s experience during a very difficult time. The passion and love for what she does is not a teachable item, Linda just has it. Marie has provided guests with exceptional customer service for many years. Her room inspection scores and attention to detail is a testament of her dedication to guests. When a guest recently checked out after a stay, they realized they had left a pair of socks in the upper drawer of the dresser in one of the rooms that Marie was servicing, they called and were delighted to find that within a few hours the socks had been found and placed in a plastic bag with a note by Marie. The guest had stashed their emergency cash in an envelope in the sock and to his delight Marie had found the socks and returned them with all the cash untouched, illustrating her integrity and commitment to service her guests. Maggie has become TripAdvisor&apos;s leading lady. Guests actually search her name to read all about Maggie. When they arrive they immediately say "I need to meet this person Maggie I heard so much about." Maggie entertains and welcomes guests like she would welcome a friend or family member into her home. She laughs with them, cries with them and makes them feel loved, cared for and at home. When a guest wrote they were going to visiting the hotel to reunite two long lost brothers that had just reconnected, Maggie wanted to do something special for them. She went to an arts and crafts store, purchased two scrapbooks and created an identical memory books for each brother. She had family members take pictures of the brothers meeting for the first time at the hotel, as well as pictures throughout their stay. It was the beginning of future memories to come. The books came out beautifully. The presentation to both brothers brought great emotion. All were touched by this wonderful gesture. This is just one example of how Maggie goes above and beyond for the guest experience. 8. Julio Enrique Pallares: Shuttle Operator, Hyatt Place Fort Lauderdale 17th Street A guest was misinformed about the time of when her ship was to depart from Port Everglades and once she arrived late, the ship had already closed the doors. The guest was beside herself as this cruise was to celebrate her daughters 7th birthday. Julio parked the van, went to the ship and begged the cruise line to let these guests on, and blamed himself for them being late. Luckily, Julio was able to convince the cruise line to let them on. The guest was amazed and beyond belief as she thought she would have to miss her trip. Julio always goes the extra mile to assist visitors; he even picks up guests walking from the hotel to the convention center who are not even hotel guests. When a guest left their insulin at the hotel, Julio raced to the airport to bring the medication to the guest who required it for their flight. When Julio is between shuttle rides, he will bus tables, assist guests in the lobby/check in and check out, truly demonstrating exceptional service and passion. When an 83-year-old couple checked into the hotel, their daughter was worried for them when she could not reach them. She called the hotel and Monique eagerly answered the call. When Monique discovered that the couple did not have their cell phone with them during the trip, she followed up with the guests&apos; daughter with a phone call to let her know they had arrived safely. The next day Monique called again to advise she had checked on them and ensured that all was well, she was watching over them closely and not to worry. Both the elderly guests and their daughter were delighted with how caring Monique was and how much stellar customer service they received that went way beyond what was expected. Shortly after returning to Jamaica, an airline passenger discovered that a large item was missing from her suitcase. She reported the loss to the airline and contacted her uncle who lived in the area for assistance. While at the airport, a few days later, the customer&apos;s uncle mentioned the incident to Mr. Reid. Although he is not responsible for this area in the terminals, he offered to look into the matter. Less than an hour after hearing about the issue, he located the missing item, which was a car replacement part. The item had been confiscated at a security checkpoint by the TSA. Garnett made arrangements with the TSA for the item to be returned to the passenger. Mr. Reid&apos;s willingness to assist the passenger in resolving this issue demonstrates superior customer service and a commitment to excellence. When a meeting planner with the WAP! Comic Book Convention arrived for a site inspection, he was met by Kirstin Smith, who dressed up as Wonder Woman, and had a colleague join in the fun dressed as Bat Girl. As they walked through the property, employees held up signs that said Pow! and other exclamations from the comic books. The planner was totally in awe of the extra effort Kirstin and the hotel put forward that she won his heart. It is because in more ways than one, she took those extra steps to impress the planner that she won the business for the hotel and the destination. Michael Trotter, Jr. is not your traditional taxi driver. He is not even your normal run of the mill kind of person, but a special soul that knows it is the little things each day that can touch someone&apos;s life. With more than 100 positive Taxi Feedback comments ranging from Mike is the bomb, to making sure a visiting Asian group gets to taste a steak sandwich before leaving Fort Lauderdale. One thing is for sure, any passenger that enters his taxi thinking it&apos;s just a normal ride, will leave his taxi saying, "Wow, this guy loves his job!" On day Michael responded to a call for a pick up at a local grocery store. As usual, he jumped out of driver&apos;s seat and with a cheery "hello," began to load the passengers many heavy grocery bags. He then held the rear passenger door open for passenger. It was only after shifting the cab into "drive" that he initiated the taxi&apos;s meter. During the trip home, Mr. Trotter made engaging small talk with the passenger and when arriving at the passengers third floor apartment, without skipping a beat he proceeds to bring up the bags, even making several trips, all with a smile. At the industry luncheon honoring the SUNsational Courtesy Award nominees, held yesterday at the Broward County Convention Center, Nicki E. Grossman, president of the Greater Fort Lauderdale Convention & Visitors Bureau (GFLCVB), presented the Class of 2014 with accolades and prizes. Each of the 12 finalists received a staycation at a Broward County hotel, dinner for two at a participating Dine Out Lauderdale restaurant, Samsonite Backpacks and Tommy Hilfiger Journals provided by Sawgrass Mills, two tickets to Cirque Du Soleil Amaluna, one-hour tour at Segway Fort Lauderdale, $25 gift certificates for Dave & Busters, Texas de Brazil or Panther Hockey tickets, courtesy of Yellow Cab Magazine, two tickets aboard a Windridge yacht (in partnership with the GFLCVB and the Delta Sigma Theta Sorority), as well as additional prizes including a personalized Riverwalk Brick, SUNsational Service Sand Globe and Seiko watch, E-Productions commemorative photo and video, Sunny.org cell phone holder & charger, and much more. Hotel accommodations provided by the following: B Ocean Fort Lauderdale; DiplomatResort & Spa Hollywood, Curio Collection by Hilton; Fort Lauderdale Harbor Beach Marriott Resort & Spa; Fort Lauderdale Marriott Pompano Beach Resort & Spa; Hilton Fort Lauderdale Beach Resort; Hilton Fort Lauderdale Marina; Hollywood Beach Marriott, Hyatt Regency Pier Sixty-Six; The Ritz-Carlton, Fort Lauderdale; Riverside Hotel; Sonesta Fort Lauderdale; Westin Beach Resort & Spa, Fort Lauderdale. All of the 157 nominees will receive an Official Class of &apos;14 Courtesy Awards T-shirt; Winterfest Boat Parade Grandstand tickets; a Florida Marlins voucher valid for 4-Bullpen or Home Run Porch tickets; Fort Lauderdale Strikers voucher valid for one general admission seat; Official Hello Sunny & SUNsational Service Pins; Meet Sunny Smart Wallet; TravelHost PocketSaver coupon book; Yellow Cab Magazine; Galleria Mall coupon book; and a Sunny.org ice scraper. From the seagrass to the sawgrass, Greater Fort Lauderdale, home of Florida&apos;s first LEED Gold Certified Convention Center, boasts more than 34,000 lodging accommodations at a variety of hotels, luxury spa resorts, and Superior Small Lodgings reflecting a "beach chic" vibe. Visitors enjoy 23 miles of Blue Wave certified beaches, discover 300+ miles of inland waterways that run from the Intracoastal Waterway to the Everglades, dine at thousands of restaurants and eateries, get immersed in a thriving arts and culture scene and indulge in top shopping. For more info, contact the Greater Fort Lauderdale Convention & Visitors Bureau at (800) 22-SUNNY or visit www.sunny.org. The Greater Fort Lauderdale Convention & Visitors Bureau can also be followed on Twitter atwww.twitter.com/visitlauderdale or become a fan on Facebook at www.facebook.com/visitlauderdale or join us on Foursquare at www.foursquare.com/visitlauderdale. To have Greater Fort Lauderdale in the palm of your hand, download the free iPhone applications, Fork Lauderdale, iVisitLauderdale and Defrost Your Swimsuit atwww.sunny.org/apps. Editor&apos;s Note: Hi-res image available.